Been getting settled in at school; I just finished my 1st week of M1 :). 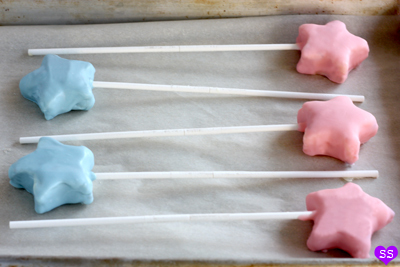 It's been hot here in Illinois... like ice cream weather hot, which makes it the perfect time for me to post this recipe for Cake Batter Ice Cream, which I formed into both fairy wand pops and bonbons. 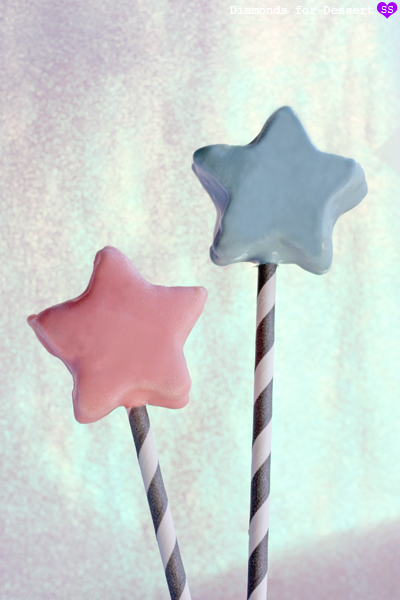 I had this idea to make pastel pink and blue fairy wand ice cream pops: star-shaped with a cute striped stick. I was inspired by Deborah Lipmann's "Glitter In The Air" nail polish, Little Twin Stars (Sanrio), and the Fairy Godmother from Cinderella. 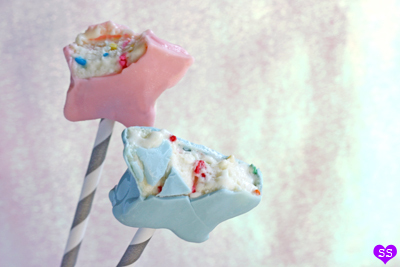 To make them even more fanciful, I made my own cake batter ice cream, chock full of rainbow sprinkles and cubes of cake, to go inside the pops. 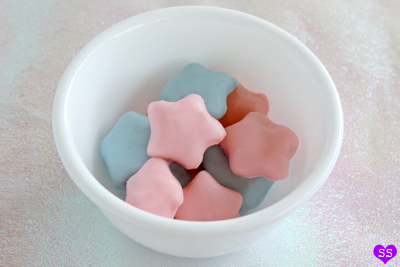 They're the perfect sweet treats to add a little bit of magic to a hot summer day.